NEW YORK (Real Money) -- The market likes almost everything these days. It's almost comical how welcoming the market can be, and I can argue that it's starting to get a little too sanguine about every move a CEO makes. For ages, the big capitalization stocks -- the whole S&P 500 -- has been kept back by the downturns in Europe, Asia and Latin America. Now things are getting better. We have definite green shoots in Europe. We have an easing in China, which cannot be overlooked because we are seeing copper and the Baltic Freight index stabilize and start to climb. That can drive up any big capitalization stock with overseas earnings, a Disney (DIS - Get Report), a Boeing (BA - Get Report), a Honeywell (HON - Get Report), Home Depot (HD - Get Report) or United Technologies (UTX - Get Report). These huge moves based on no stock-specific news reflect optimism in the future. Warren Buffett this weekend praised owning big-capitalization stocks. Could this rally be a coincidental? In his even more brilliant that usual investment letter, Buffett says if you believe in American progress you have to own, long-term, great American businesses. If you don't, you should buy bonds. The big money's agreeing with Buffett in a big way today. They are buying the big caps and selling bonds and the utilities linked to bonds right along with them. There are individual situations bubbling up today, though, that show you the rosy hue the market's using to assess key decisions corporations are making. Consider the 13-point rally, or 16%, that NXP Semiconductors (NXPI - Get Report) is enjoying for buying Freescale Semiconductor (FSL in a deal inked yesterday. Now normally the target company goes up -- and Freescale has rallied 11% -- but the acquirer's stock goes down. Not this time. The market clearly loves the concept of a semiconductor company that is dominant in security and wireless payments merging with a semiconductor company dominant in auto chips. We have praised both NXPI for its fabulous near field communications expertise that's behind both Apple and Samsung pay. But we also think that Freescale's got quite a business, because we know from total Cramer fave Harman International HAR, the brains behind the infotainment systems in many cars, that fancier auto connectivity and security will be staples in all cars and trucks in the next few years. Not that long ago both were just castoffs. Freescale had been a nearly busted Leveraged Buyout, spun out of Motorola. NXPI was shed unceremoniously from Philips (PHG, the Dutch conglomerate. But they are huge winners in an Internet of Things world. That mirrors the love for the tie-up between Cypress Semiconductor (CY - Get Report) and Spansion (CODE, the merger of Avago Technologies (AVGO - Get Report) and LSI (LSI, or Triquint Semiconductor-RF Micro, which is now known as Qorvo (QRVO - Get Report). No wonder the Nasdaq hit 5,000 today. That Nasdaq is the hometown for so many semis, so it makes sense that the index takes out old-time levels. The earnings are real, the opportunities are great, and the stocks are cheap if the companies execute and I think they will. More signs of uncritical thinking? How about Cardinal Health (CAH - Get Report) this morning buying Johnson & Johnson's (JNJ - Get Report) Cordis cardiovascular unit for $1.94 billion? Normally the market makes a winner-loser judgment. Nope, it's win-win, with Cardinal jumping up a buck and a half to an all-time high and JNJ tacking on 70 cents. Happiness abounds. Plus there's another reaction, the one we are seeing in Pharmacyclics (PCYC, a JNJ biotech partner in cancer work. This $221 stock's up about 100 points since the middle of January, all on speculation that JNJ will buy the company. At a certain point you would think that the market would say "it's up enough already" and JNJ would never be this undisciplined and pay up here. Then again, though, the JNJ people can't be blind to how well Actavis (ACT has done since its very expensive buyout of Allergan (AGN - Get Report). I hate to mention Valeant (VRX within any proximity of Johnson & Johnson, as one is a lover of research and development and the other seems to love to slash it, but Valeant's been soaring ever since it announced the acquisition of Salix Pharmaceuticals (SLXP. And JNJ has plenty of financial fire power to make it happen. Or how about the rally in MasterCard (MA - Get Report) today, an Action Alerts PLUS holding. This morning Costco (COST - Get Report), which had dropped its long-time relationship with American Express (AXP - Get Report), announced a new credit card partner, Visa (V - Get Report). We know that American Express lost about 75 cents in earnings when it couldn't agree to a price with the retail giant. It's a huge win for Visa. I figured, gulp, there's some awful news for MasterCard. But the market acts as if it won the deal, too, with its point and a half gain. Talk about positive! That's just plain bizarre. Here's another shocker. In most markets when you get a run-up into good news you then get a post-news selloff. We all know that House of Cards, made by Netflix (NFLX - Get Report), is the most talked about program right now. That's why Netflix ran into its Friday morning release. But it's up again today, proving without a doubt that this market's just plain happy with stuff that we all knew was going to happen anyway. Or how about last week when I had CEOs from Domino's Pizza (DPZ - Get Report) and Popeyes Louisiana Kitchen (PLKI on Mad Money after their stocks had been hammered. Both reported extraordinarily strong numbers. Neither went nuts with guidance. Now, upon further review, buyers recognize that the declines represent opportunity and both stocks are rallying. That's pure unmitigated happiness. We do have negatives being heeded. For example, I would be very concerned if Lumber Liquidators (LL, the woodwork chain, were to go higher after a devastating 60 Minutes investigation that alleged the flooring is toxic. The stock, which had already been cut in half going into Sunday's show, has fallen another 21%. IBM's (IBM - Get Report) down again, in part, I believe, because while Warren Buffett praised it in the amazing interview Becky Quick conducted on this morning's Squawk Box, the praise came because the company keeps buying back stock and I think the market's looking for growth, not just a buyback, and it doesn't have it. Maybe it will someday, but not now. Editor's Note: This article was originally published at 3:45 p.m. EST on Real Money on March 2. 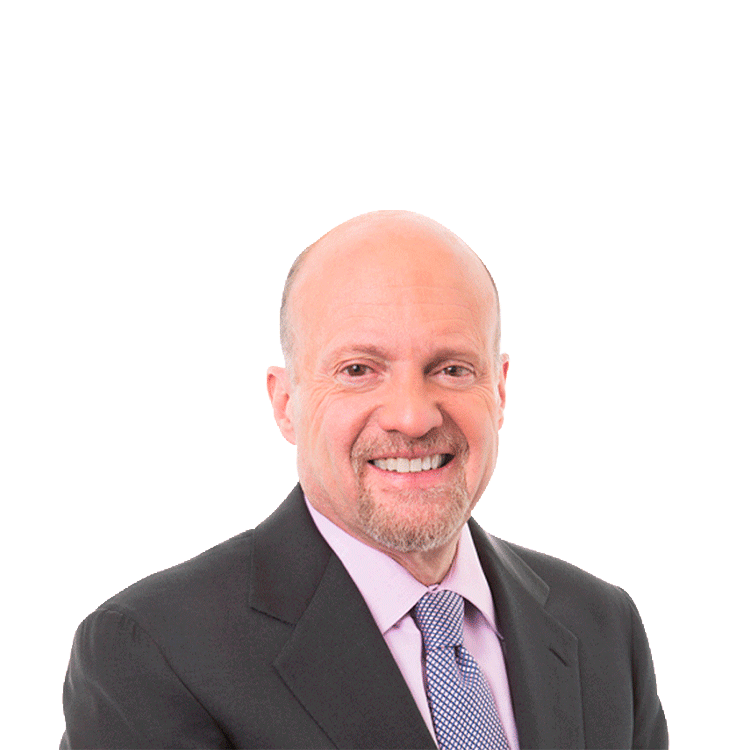 At the time of publication, Jim Cramer's charitable trust Action Alerts PLUS held positions in AXP, MA and UTX.